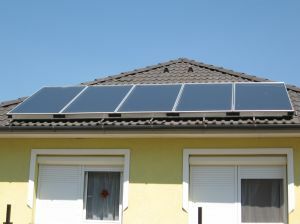 At Aussie Home Energy we seem to be hearing of so many great success stories, about home electricity reduction. These stories being due to the installation of HOME ELECTRICITY MONITORING & SOLAR PV INSTALLATION. So why is there still such a 'negative', added to many media reports on Solar PV in NSW? What Aussie householders need to be aware of, with media articles on Solar PV in NSW is this, it's not always the Gross or Net 'feed in tariff' [FIT], that reduces the home's electricity costs. The truth is this, any home around Australia can directly offset electricity used, during the 'sun hours', when there is no FIT! And this is not being reported within these media articles. The idea of offsetting electricity seems to not be fully understood by the average householder. Home electricity offsetting is a simple system, one that does not rely on any form of gross or net feed tariff. It simply relies on knowing what electricity you use when the sun is shining. This simple system seems to have been forgotten or not fully understood by many Aussie householders and we would argue that this is because the media fails to add it to their reports. Most likely because they to, do not understand the concept. Currently in NSW a home offsetting electricity costs during the 'sunny hours', can mean a minimum of $641 per year off the electricity bill! The maths here is based on the averaged daily output of a 1.5kW Solar PV system, offsetting electricity at 28.5 cents per kWh. And as electricity prices rise, so do the householder's electricity savings! And if you did not already know it, electricity is going to keep on rising dramatically over the next few years at least! What's more interesting about home electricity offsetting, is that most homes can save more $$$ off the bill, compared to the recent NSW Government's 20 cent gross feed system! You just need to understand the maths! Any home on the 20 cent Gross feed in NSW will most likely save more when connected to the grid on a NET basis. As in Country NSW, the electricity is commonly charged at 28.5 cents per kWh. If the home is using the same or more power generated by the solar system during the sunny hours, that is almost a 50% increase in profit! And a Gross system can be easily switched to a net system. So do we think the media is doing justice to the current situation of Solar PV in NSW? NO! Not when they forget to tag the concept of ELECTRICITY OFFSETTING to the end of their media reports!